HomeNewsHardwareAudio & MIDIPresonus Introduced Studio C-Series: DC-Coupled Audio Interfaces With USB-C! At NAMM 2019, Presonus announced the Studio series 24-bit, 192 kHz audio interfaces with the new USB-C connector in five different models: Studio 24c, Studio 26c, Studio 68c, Studio 1810c and Studio 1824c. All models features besides different audio I/O also a complete MIDI interface. Very interesting is here that all models except the Studio 24C includes DC-coupled outputs for sending control voltages. So you can use software to generate signals (LFO’s, envelopes…) and send them over the outputs to your modular systems. Studio 24c: 2-in/2-out bus powered audio interface: 2 front-panel combo mic/line/instruments inputs with PreSonus XMAX-L solid state mic preamps, 2 rear-panel line outputs, and onboard direct monitoring control. Studio 26c: bus-powered 26c 2-in/4-out audio interface, 2 front-panel combo mic/line/instrument inputs with XMAX-L solid state mic preamps, 4 rear-panel line outputs, and a Cue Mix A/B button. Studio 68c: 6-in/6-out audio interface offers 4 XMAX preamps—2 mic/line/instrument on the front, and 2 mic/line on the back—as well as S/PDIF I/O. Studio 1810c: up to 18 inputs and sports 8 outputs and 4 microphone inputs with XMAX Class A mic preamps. Studio 1824c: perfect for project studios, and especially for recording full bands, including multi-channel drums. It records up to 18 simultaneous inputs and features 8 microphone inputs with XMAX Class A mic preamps. 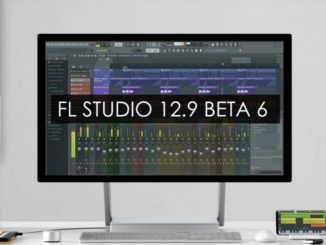 Its 18 outputs offer flexible routing with zero-latency DSP-based monitor mixing and control-room integration with included Studio One Artist and UC Surface software. At NAMM, I asked about iOS compatibility and they say that the tests are not yet finished but it looks that they are compatible with the new USB-C port. USB-C to USB-C and USB-C to USB-A cables are provided for compatibility with most computers. 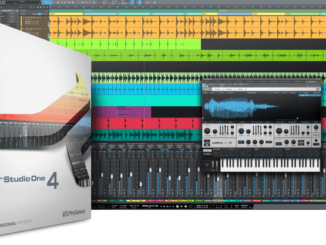 Studio Series USB-C audio interfaces come with PreSonus’ award-winning Studio One Artist music production software for macOS and Windows. Studio One integrates tightly with PreSonus interfaces, configuring automatically—no need to map inputs and outputs. You also get the Studio Magic Plug-in Suite, a carefully selected plug-in collection from the leading names in virtual instruments and effects. 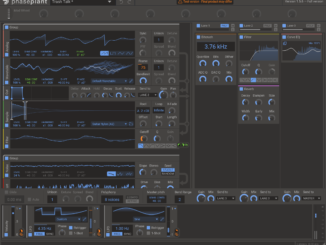 Kilohearts Announced Phase Plant Synthesizer Plugin For PC & Mac!